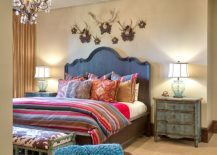 Even with the cold grip of winter has relented and colors of early spring filling your life with plenty of cheerful zest, there is still plenty of room for rustic elements in your life. 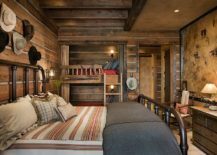 The modern rustic bedroom is a cozy escape that serves you well throughout the year and allows you to escape the rigors of urban life with comfort and tranquility. 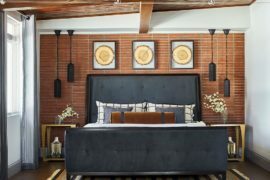 It is the balance between the modern and the rustic elements in the room that give it a unique personality while allowing you to redecorate it with ease over time. Some might prefer the classic rustic look and others could veer towards a more modern aesthetic. 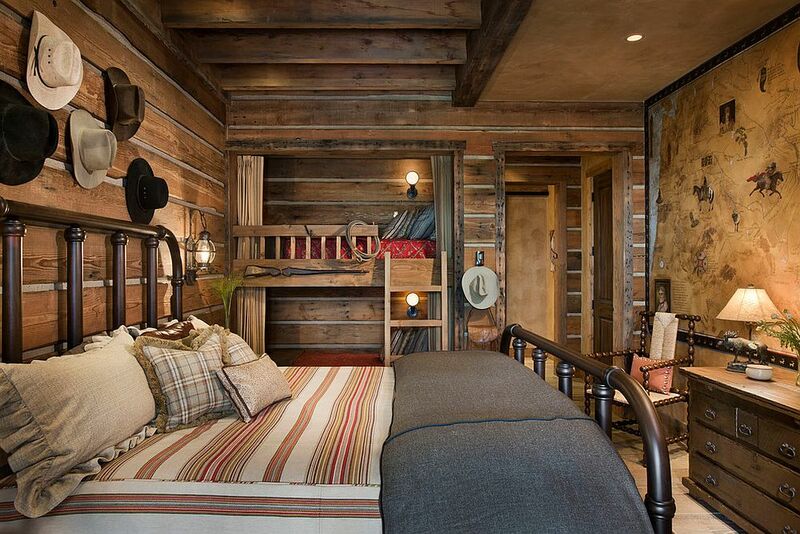 No matter which camp you are in, you will adore today’s modern rustic bedroom guide! Yes, the bed is an important part of the bedroom. 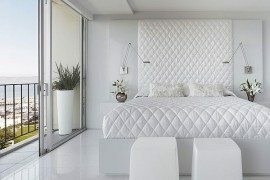 But look beyond the obvious and give the room an extra-special look with the right bedside tables. In the modern rustic bedroom is often nightstands and bedside tables made out of wood that hold sway. If you are short on space, try the floating nightstand. The circular and small bedside table with multiple shelves is also a great space-saver. Pick those with a distressed finish or upcycled look for a more curated bedroom. 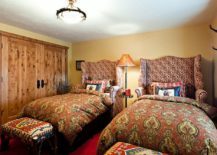 Who knew you can convert old, high-back chairs into custom headboards that steal the show in the bedroom! 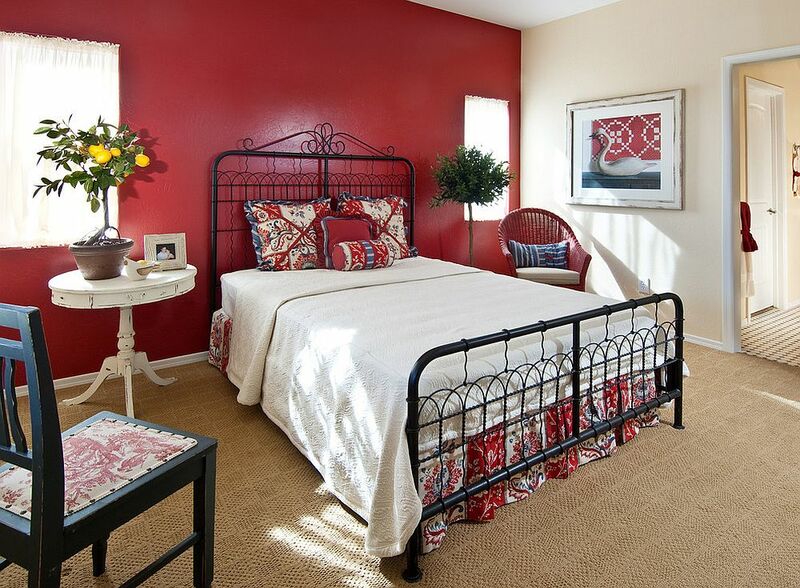 It can be done and as you see below, the result is a bedroom that is a complete showstopper. 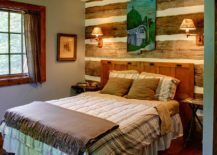 Reclaimed wooden walls are increasingly becoming a popular choice in modern bedrooms and accent walls draped in reclaimed wood instantly bring warmth and rustic charm. 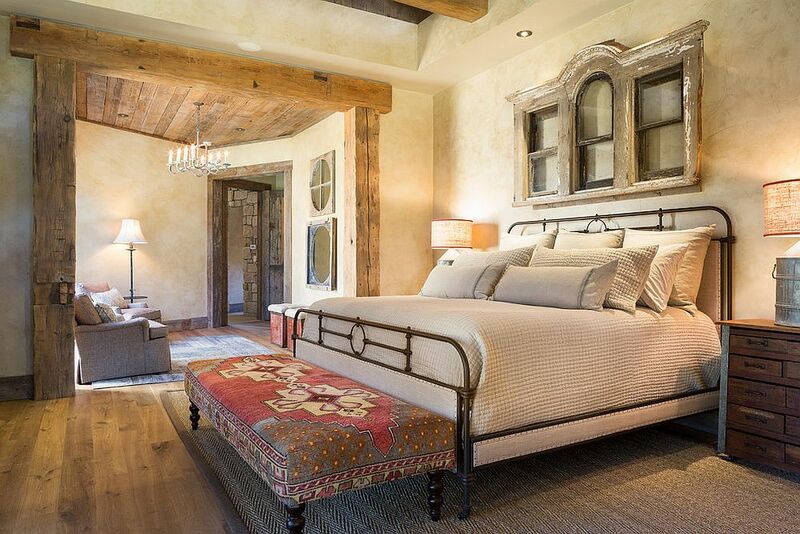 A balance between polished, modern finishes and rustic wooden additions gives you the perfect balance in a bedroom that brings together two different worlds. 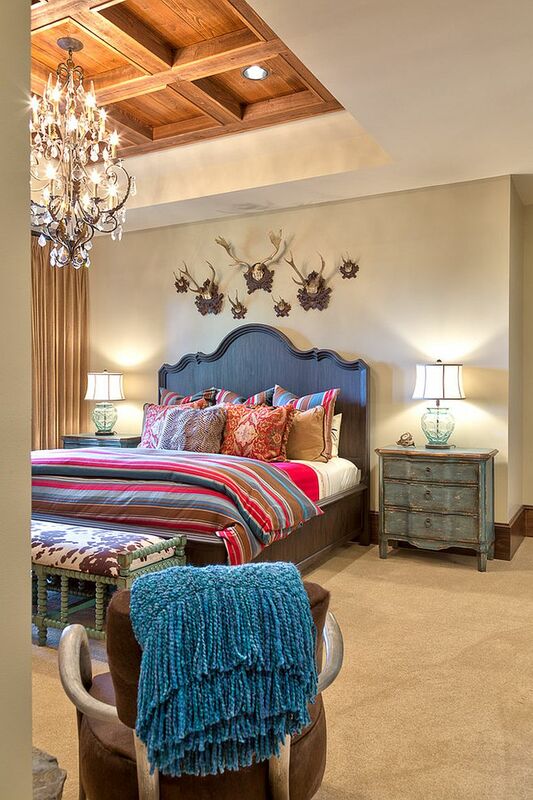 The old chandelier with its dusty, metallic glint is an addition in the modern rustic bedroom that always holds its own. Give it a quick polish and you have a masterpiece that stands the test of time! 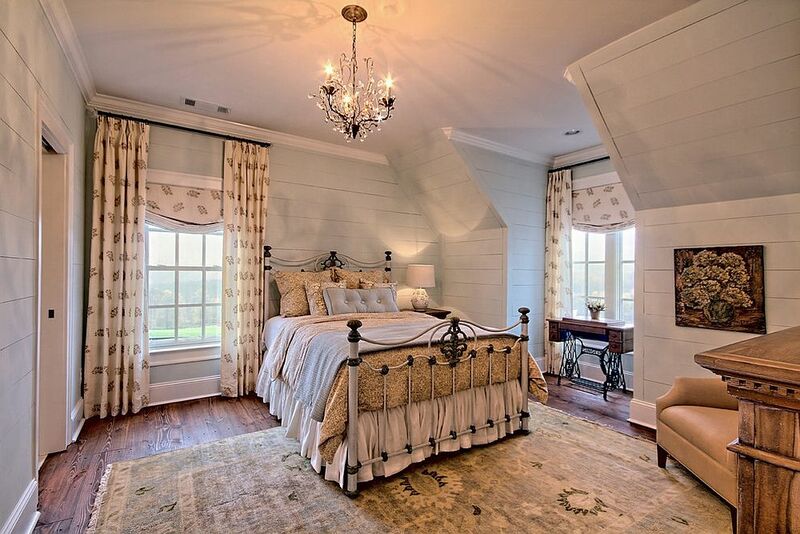 The vintage or Victorian style chandelier is making a grand comeback of sorts in the last few seasons. 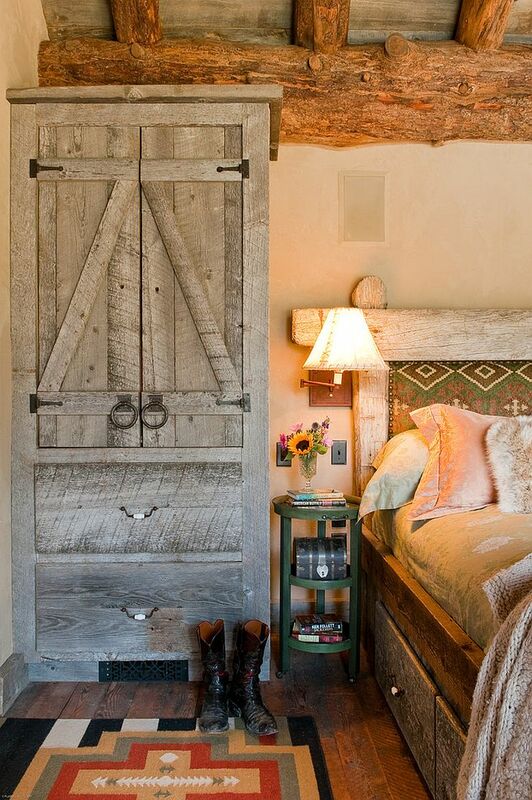 Adding it to the rustic bedroom adds another layer of intrigue. It also ushers in a touch of Hollywood-inspired glam and retro panache. 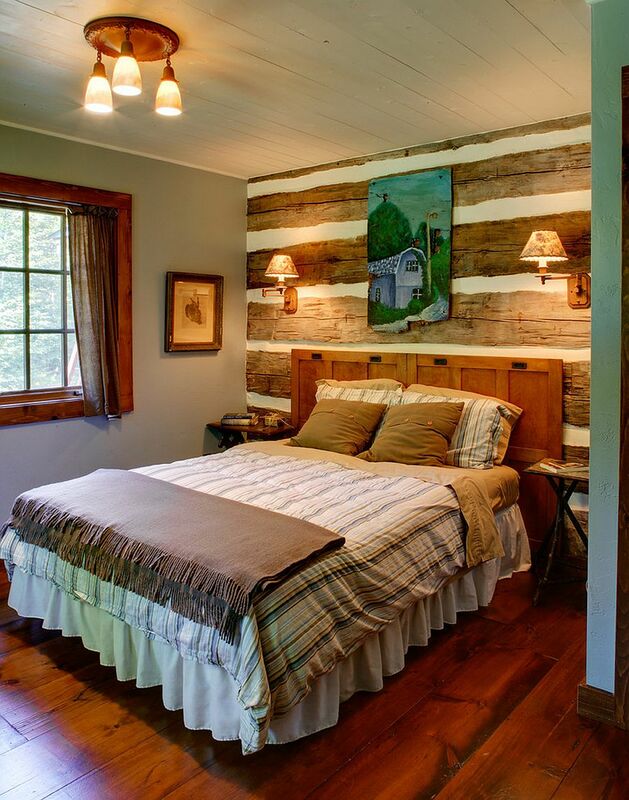 We already talked about modern bedrooms getting their quota of rustic goodness with a reclaimed wood accent wall. 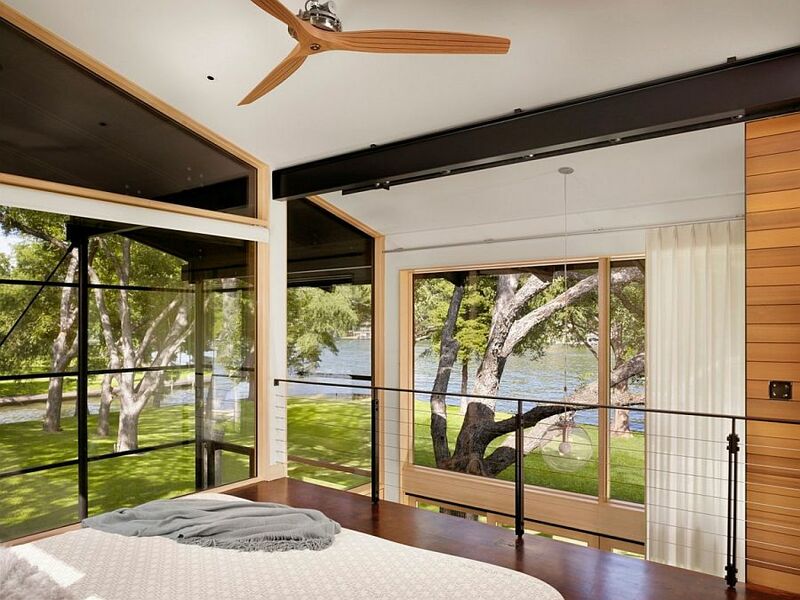 You can take this a step further by expanding the use of wood to other walls of the room as well. 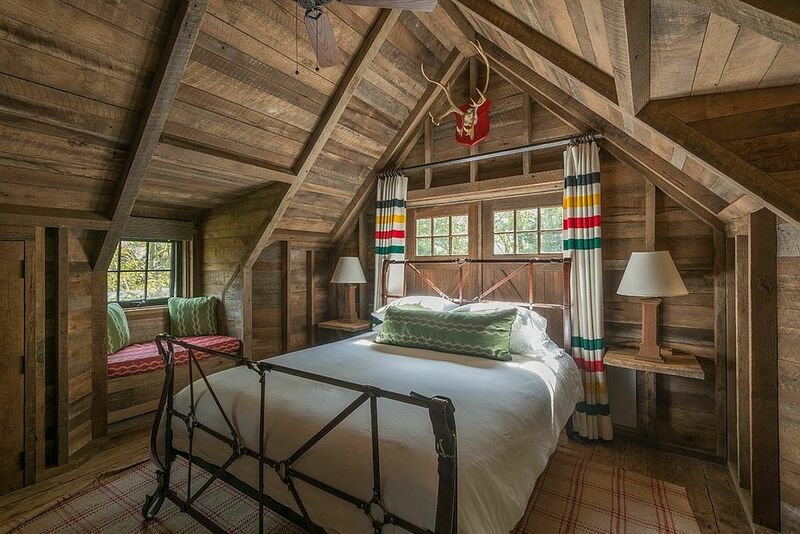 A cabin style bedroom with vaulted ceiling, exposed ceiling beams and woodsy walls is uber-cozy while a combination of glass walls and wooden slats merges privacy with perfect ventilation. 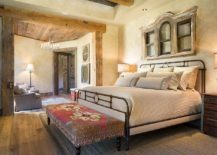 Metallics in the rustic bedroom have a very different meaning when compared to the use of ‘metallics’ in contemporary spaces. Here it is the weathered brass handles of the bedroom cabinets and the iron frame of the classic bed that replace more modern polished chrome and copper finishes. 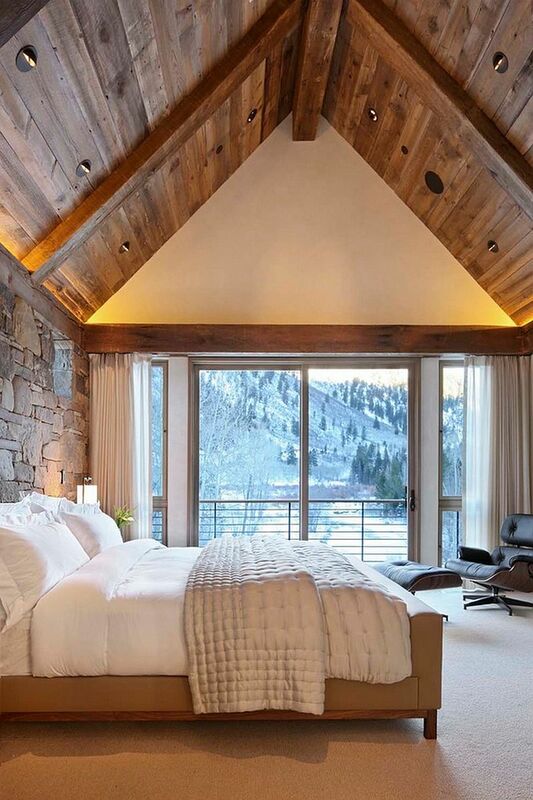 Once again, it is the jaded and time-tested finish of these materials that accentuate the rustic vibe of the bedroom in a subtle and elegant manner.